Givenhansco recently launched its new Keystone On-Demand mobile app for ‘on-the-go’ ready-mix producers. An extension of its advanced Keystone Dispatch, Truck Tracking and Financials suite, On–Demand is the first of its kind mobile app providing live business intelligence to ready-mix sales personnel, plant managers and owners in the field. Designed by GivenHansco in-house from the ground up, On-Demand is written for and compatible with most iPad and Android devices. “Rather than mimic the functionality of our desktop applications, we took great care to create an app focused on the essential tasks that mobile employees need to accomplish. On-Demand is responsive and easy to use with a clean, modern design. The app leverages the vast array of data from the Keystone Office Suite yet doesn’t overwhelm the user with information overload,” according to Mike Sanders, GivenHansco President. Being touted as “The Intelligent Mobile App”, Keystone On-Demand is a competitively priced add-on to the Keystone integrated product line, consisting of the award-winning Keystone Accounting, Keystone Batch, Keystone Dispatch and Keystone GPS. GivenHansco plans on expanding the mobile app platform across the entire Keystone product line. Drill-down schedule data from plant overview to ticket detail. 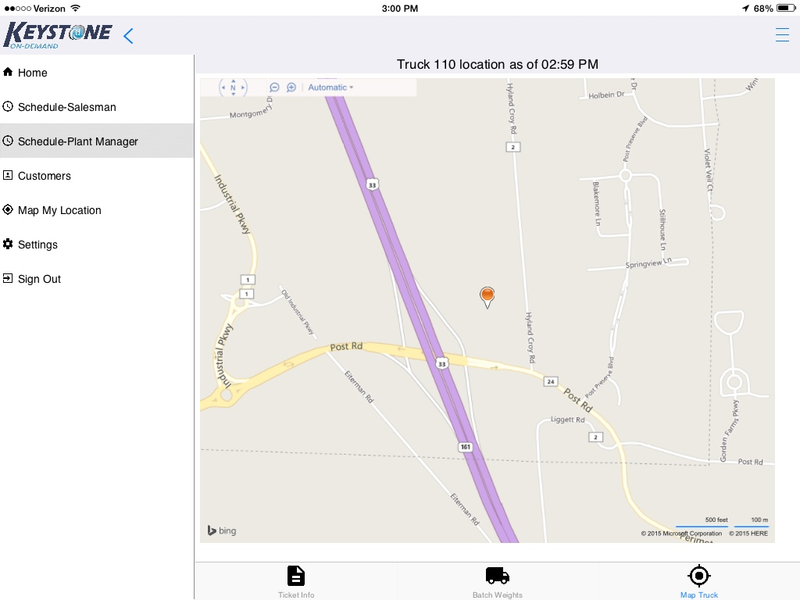 Track truck on-job times and view live GPS map. View customer account balances and ticket history. Give salesmen job site awareness that allows them to solve problems on-site.